Ana Insan Madani is a recurring column in al-Madaniya Magazine where we present prominent Yemeni figures from a variety of backgrounds and fields. The aim is to share their thoughts on issues related to Yemen in general, with a focus on topics related to intellectual and societal debates in Yemen, such as notions of citizenship, the meaning of ‘civil society’, its implications and different dimensions. Sally Hamada is an accomplished Yemeni actress and is well known in the Yemeni arts and entertainment scene. 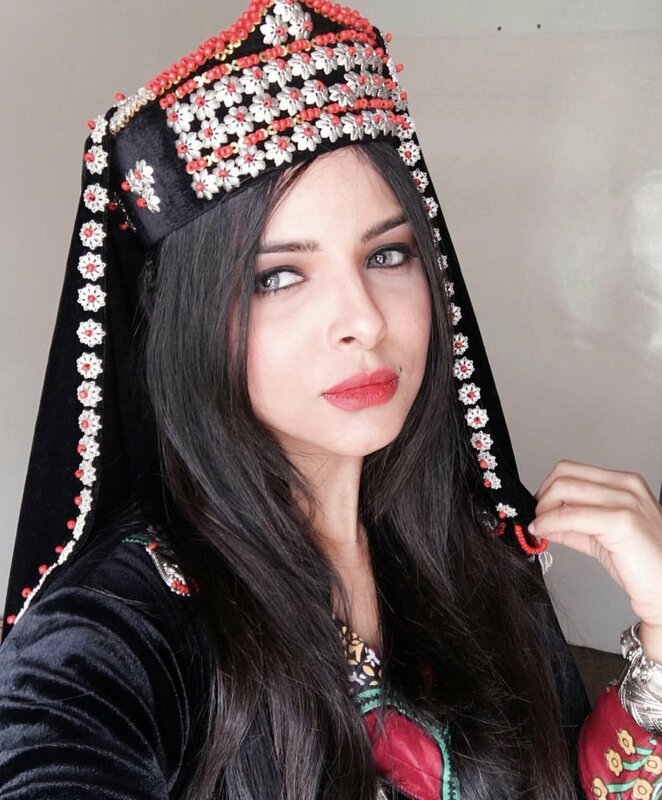 Over recent years, Sally has participated in numerous dramas and television shows that contributed to the development of local Yemeni productions on screen. Sally’s career was recently crowned with her role in the film 10 Days Before the Wedding, which is currently showing across cinemas in Aden. What does the word Madaniya mean to you? I understand it as a modern, contemporary term, which translates to ‘justice’. I believe Allah has guided us to judge fairly with equality and not according to religion, race, political affiliation or ideology. Civil society is a relatively foreign term that was introduced recently and refers to the basis of dealing in accordance with civil law, which provides for equal respect for the duties and responsibilities of each party towards the other. What does homeland mean to you? Homeland is where I find my identity. It is a system that supported the stages of my life from birth through to adulthood and the development of my personality. If it happens that the system in your homeland, where your identity was formed, is replaced by a different system that erases all the values, principles and events that were part of the composition of your identity, then this homeland will no longer feel like your homeland. To be a citizen means that I love the land that embraced, respected and helped me become who I am. To be a citizen means to give back to it what it has given me. In my opinion, no citizen has the right to say, “I love my country”, while he throws trash on the street, a bottle from the window of his car, spits into the ground indifferently, or urinates in the corners of streets. At the same time, it is not possible to ask a person to be a citizen without offering a homeland. In our case, in Yemen, there is a mutual need: the homeland needs a citizen and the citizen needs a homeland. When we realize the importance of this relationship and the mutual aspects of it, this dark cloud that has dominated the sky of our country will move away. How would you describe the advantages and disadvantages of the rule of law? Law: We were all created with an internal law, which is our own instinct. However, over time the power of instinct has slowly dwindled due to the influence of social conditioning. This was created in order to occupy our minds and lives with an invented law produced by humans, which carries all the aspects of human tendencies, and claims to protect rights and dictate duties. Advantages of law: Its existence is important even if it has its gaps or sometimes only applies to the interests of certain parties. The existence of a constitution is important to form a frame of reference for the distinction between socially acceptable and socially unacceptable. It is also important to serve as a reference for the protection of rights and the preservation of society from those who violate the law and basic principles of humanity. Disadvantages of the law: The existence of legal gaps may be beneficial for the offender against the victim. In this case the law plays a covert role, where the law can stand by you just as it can stand against you. However, the problem may not be in the law itself, but may lie in those who practice the law and how it is applied. These are the people who use legal loopholes in law to create an atmosphere that spreads corruption within the law. When you hear the word equality, what comes to your mind? It strikes me that those who raise the slogans of equality may themselves be the creators of injustice. In fact, they may work to promote the concept of equality in order to create sophisticated means of gaining an income from NGOs, by dressing in humanitarian clothes. No. I would never vote… not until my passport regains its real value. If you had the power to make one change in Yemen, what would it be and when? If I had the power to change something, I would work to protect Yemen from the corrupt citizen before the official. I do not believe in blaming a corrupt authority as long as there are people who are corrupt themselves. What should the world know about Yemen today? Yemen today is not Yemen. Yemen has become destroyed, a copy of its reality – which is difficult to describe in words – in its magic, wealth and beauty. People must know that there are many who play a role in the injustice that is happening in Yemen. We the people play a role, then the authorities in power, then our neighbors, and finally the whole world. All of us are involved in the crimes that were committed against Yemen and still continue. One day everyone will realize the price. The hope is, as human experiences have taught us, that there is no catastrophe that is not followed by an epic revival that forces itself into history.